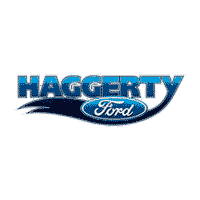 Getting behind the wheel of the Ford F-150, Escape, Fusion, Explorer or Focus you have your eye on is easier than ever, when you shop at Haggerty Ford Inc. That’s because we offer auto loans and Ford leases catered to each and every one of the drivers we serve from Aurora, Naperville, Wheaton, Batavia, and Saint Charles. With our car financing team of experts’ help, that new Ford vehicle or even that used car is well within your reach! Can’t wait to see how we can make that new or used vehicle attainable? Just fill out our quick and easy contact form at your convenience. We’re also on hand, at our dealership in West Chicago, IL to answer any of your auto financing questions. Just give us a ring or stop in today to discover your leasing and loan options!